In our blog posts, we often share many of the things we feel make our vinyl products the best – that they are extremely strong and durable, that they need little to no maintenance, that they look great alongside any home or business. However, we don’t often talk about why those qualities are so important to us. To us, a fence, a deck, or a shade structure is more than just an accessory for your home. These structures are something special – a way for you to get outside and enjoy your property, to create memories with your friends and family. We started Future Outdoors with the goal of bringing quality outdoor products to people at an affordable price, but that’s not what drives us. Our goal isn’t just to sell more fences or pergolas. We do what we do because we truly believe our products help people feel better and live better lives. It might sound corny, but it’s the truth. We think that a patio cover, a quality fence, or a new deck will help you be happier and live a better life. Why? More and more often, it seems like our lives are rushing out one door and in another. When was the last time you sat outside in your backyard and simply enjoyed the weather or chatted with a neighbor as they walked by your front porch? If you’re like most people, it’s been a while. But by creating a comfortable outdoor space, you’ll suddenly find yourself drawn outdoors. A new deck is an invitation to sit out front with a glass of tea or lemonade. A new fence makes you want to get out and do some gardening or play with your family in the backyard. In short, we see our products as a way to let people enjoy the outdoors from the comfort of their own home. A new fence, deck, pergola, or gazebo is great after it’s installed. But the first time you have to stain an entire wood fence or repaint your deck, you’ll probably feel differently. For many people, the maintenance that comes hand-in-hand with wood structures is simply too much. This leads to putting off the maintenance altogether, which in turn leads to a degrading structure. Suddenly your deck or pergola isn’t a nice place to hang out – it’s an eyesore. But with a vinyl structure, this isn’t an issue. 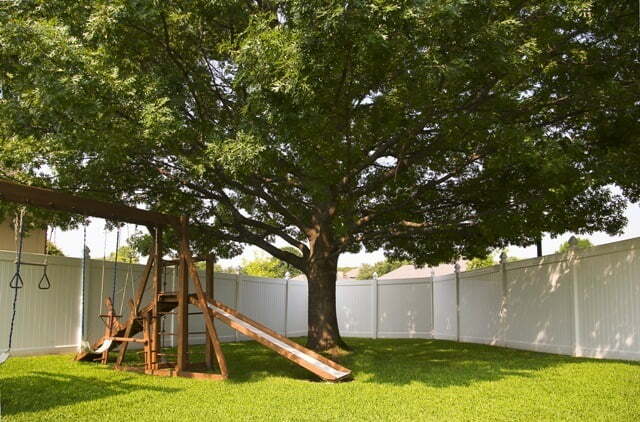 You don’t need to feel that twang of discomfort when you look at your fence or shade structure. Instead you can just go outside and enjoy it, year after year, worry-free. Being indoors all the time simply isn’t good for you. Most of our time spent indoors is spent sitting on a couch or in a computer chair. We get sick more often when we spend all our time indoors, and we simply aren’t as healthy or happy. Getting outdoors is a great way to improve your health and your mood. You’ll get the benefits of more natural light, such as increased Vitamin D levels and a better complexion. You’ll sleep better and get more exercise. You’ll just feel better overall. And we firmly believe that improving your outdoor spaces will make you want to spend more time outdoors. As we said before, our ultimate goal at Future Outdoors isn’t just to sell more fences or shade structures. Our desire is to help people get the most out of their outdoor spaces and to create an environment they really love. If that sounds like something you want, we’re ready to help. Call us today at (972) 576-1600, or visit our Facebook page to see pictures and read reviews from people we’ve worked with. We’re looking forward to hearing from you!